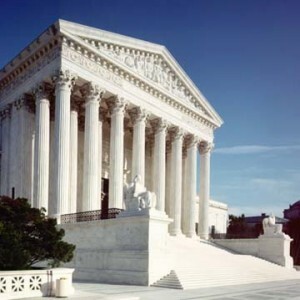 Will an Amendment to Overturn Citizens United Become a Reality? The U.S. Constitution has been amended 27 times. It was never meant to be a perfect and unchanging document as shown by the number of times that it has been amended. A quiet, slow moving train has been moving to change our election laws and the money spent by corporations. In 2010, the Supreme Court said that corporations are people and could spend as much money as they wanted to influence elections. The case is Citizens United. As a result of Citizens United, corporations can give as much money as they choose without naming names of individuals. On January 21, 2010, the Supreme Court decided Citizens United v. Federal Election Commission which turned our election campaign laws on their heads and overturned almost 100 years of campaign finance law. Unlimited corporate spending to influence elections became the law of our land. That’s one of the reasons, the last election raised $1 billion in total contributions for each candidate. If corporations, spent some of that money helping the system instead of influencing it through politics, maybe we wouldn’t be thinking of cutting funds to Social Security, Medicaid and other worthy and necessary funds. But I digress—there’s a slow movement with 11 states in support of a constitutional amendment to override Citizens United and its effect on our election and country. And this week, the District of Columbia added its name to those 11 states that support a constitutional amendment to overturn the Citizens United decision. “The outrageous, misguided and illogical Citizens United decision has empowered corporations and endangered our democracy,” said Robert Weissman, president of Public Citizen. “As our report shows, secretive corporate and billionaire donors exerted an outsized influence over Election 2010. Their spending now casts a pall over all lawmaking, because any members of Congress who challenge corporate interests know they now risk facing a barrage of attack ads in the next election. The call to overturn Citizens United is broadly popular among the public in poll after poll, as people around the country realize it affects every major issue of the day. This week’s D.C. Council’s resolution recognizes that if we are serious about saving our democracy, we must amend the Constitution to restore the right to limit spending in elections. Before an amendment can take effect, it must be proposed to the states by a two-thirds vote of both houses of Congress and ratified by three-fourths of the states. It won’t be easy to get it passed but justice has never been easy in this country. If we want to begin to diminish corporate influence in government, we could start with an amendment to overturn Citizens United. For more information on how to take corporate influence out of elections, go to Democracry is for People.org. This entry was posted on Wednesday, February 6th, 2013 at 8:23 pm. You can follow any responses to this entry through the RSS 2.0 feed. You can skip to the end and leave a response. Pinging is currently not allowed.